What Constitutes an Oilseed Crush Plant? 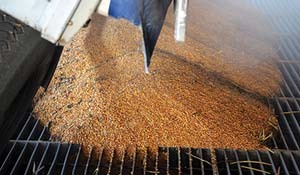 Upon receiving and unloading, the raw material is inspected to assure seed is of the highest quality. Proper storage is key to protecting raw materials and for accessing quantities for continuous output. 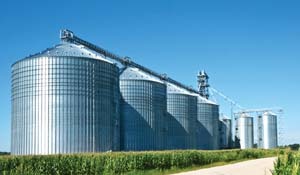 Removal of Foreign Material and Grain Cleaning eliminates unwanted material. This step also helps prevent equipment damage. Recommended Equipment: Screener Cleaners (Scalping and Precision), Aspiration, Magnets, and De-stoners. Heat is applied to rupture the oil-bearing structures of the seed and deactivate harmful anti-nutritional factors. Our Extruder shears, cooks, and dries the material. Recommended Equipment: Steam Jacketed Vessels, High Shear Extruders, Roasters, Hot Air Belt Dryers, Plate Heat Exchangers, and Expanders. The Anderson Expeller® press allows for the most efficient separation of oil without the use of harmful chemicals. Recommended Equipment: Expeller. 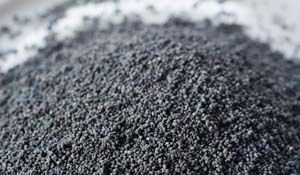 A screening system allows for the removal of bulk solids from the oil. This is done using gravity to minimize energy consumption. Filtration is required to reduce solid contaminants in the product oil to less than 1% by weight. Recommended Equipment: Centrifugal Separation (decanters and centrifuges), Pressure Leaf Filters, and Settling Tanks. Expeller cake is hot and must be cooled to preserve product quality and allow for safe storage. Once cool, the irregular shaped Expeller cake is ground into a meal for easier storage. Recommended Equipment: Counterflow Cooler, Belt Coolers, and Hammermill.